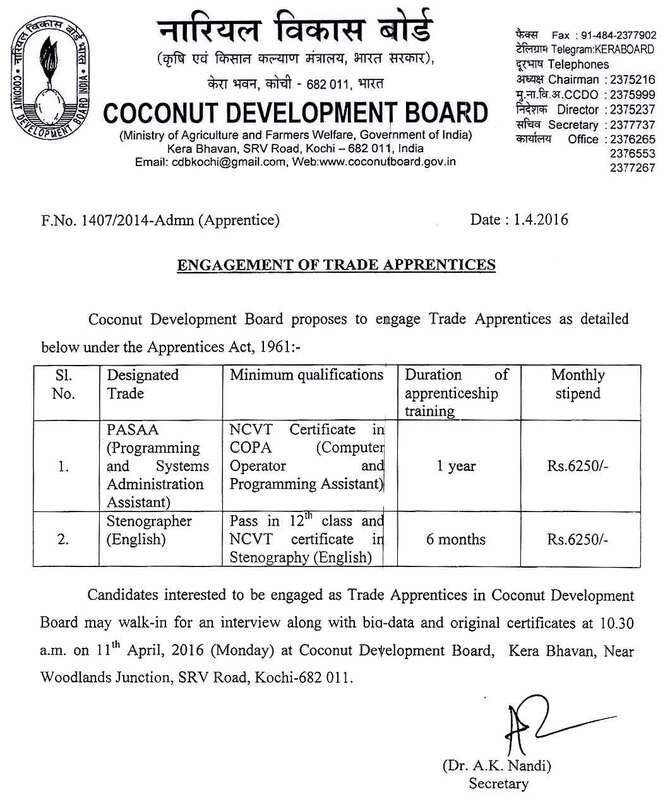 Coconut Development Board Limited invites application for the post of Trade Apprentice. Walk-in-Interview 11 April 2016. For Stenographer (English) : Pass in 12th class and NCVT certificate in stonography (English). How to Apply Coconut Board Vacancy : Interested candidates may appear for Interview along with the resume, attested copy of testimonials and Original at the time of Interview. Venue of Interview : Coconut Development Board, Kera Bhavan, Near Woodland Junction, SRV Road, Kochi-682011. 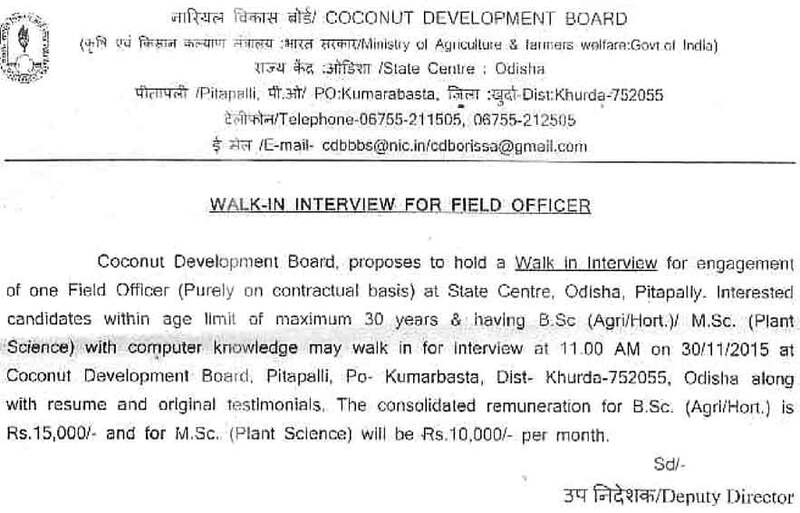 Coconut Development Board Limited invites application for the post of Field Officer. Walk-in-Interview 30 November 2015. Educational Qualification : B.Sc (Agri./Hort) or M.Sc (Plant Science) with computer knowledge. How to Apply : Interested candidates may appear for Interview along with the resume, attested copy of testimonials and Original at the time of Interview. Venue of Interview : Coconut Development Board, DSP Farm, At- Pitapalli, P.O. – Kumarbasta.